Tuesday, Wednesday & Thursday 12 noon to 9.00 pm. Here at The Waterside, we want you to enjoy our serene and tranquil location set immediately upon the busy yet peaceful Bridgewater canal. WAITED SLIGHLTY LONGER FOR OUR MAIN COURSE THAN EXPECTED FROM PREVIOUS VISITS, BUT FOR FRESH AND HOT FOOD UNDERSTANDABLE. JUST ONE THING THERE WERE 12 OF US AND WE SEEMED A LITTLE SQUEEZED TOGETHER WOULD HAVE LIKED JUST A LITTLE MORE EBLOW ROOM. BUT, WE WILL STILL BE EATING THERE AGAIN. The service was really good and staff very friendly. The only small point is that the queue for the bar was long but I assume this was due to the exceptionally hot weather. Nice place, dog and child-friendly and lovely atmosphere. Food was really good. Staff helpful and pleasant. 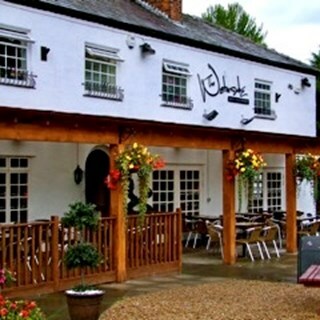 Although we were seated late the meal was excellent and the service was very friendly, we really enjoyed the food , we also received a discount for being seated late, definitely returning soon. Dan the manager was really great. Food was mostly great. It was a bit noisy by the bar. Really lovely evening with family. First time for us but we will definitely come here again. Really nice atmosphere and the staff are lovely. 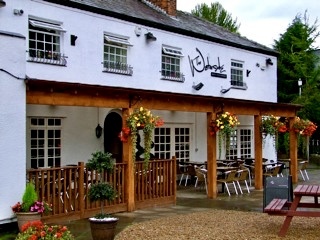 Good food and atmosphere, the staff are friendly, helpful and good at what they do. Everything was fine, although we did feel tightly packed in at our table. A bit more space would have been appreciated. On arrival, a slight hic-up to the start of our family get-together. Initially it appeared that the waitress could not  find our booking, then another group were seated at the table that had been allocated to us. That said, the lady in charge on the night, full of apologises, swiftly sorted another table for us, which in our mind, was in far bar position. All the staff were very polite, friendly and efficient, even though it was extremely busy and they were rushed off their feet. As always the food was lovely. All in all, a lovely night was had by all. We will definitely be back. I was disappointed this time. I have been several times before and was impressed with food and service. There was refurbishment going on so was abit cramped. Wasn’t warned about this at time of booking. Not enough vegetables with meal and food was luke warm when it arrived. Didn’t think food was value for money. Service was ok but waitress was rushed of her feet. Then a service charge was added to the bill, which I don’t like. Always tip if the service is good but don’t feel a set amount should be added. May think twice before I book again now. Feel it has lost some of it’s orginal qualities. Very good food staff excellent. Will definitely book again. Enjoyable evening. Thank you so much. We had a beautiful meal and the service was excellent. I would definitely recommend you to my friends. Sherry aperitif ....dont add ice....or at least ask.